To remove the warning message from the top of your project, at least one collaborator must upgrade the project to run on members-only hosting and have network access. 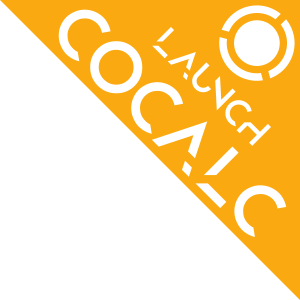 CoCalc will never charge you, except after you explicitly purchase a subscription or course package. A $14/month standard subscription can be used to upgrade four projects, unlock internet access, etc. (pricing page). Go ahead and apply your upgrades to the project. You can easily change which projects you have upgraded at any time. Thank you for being a customer! Ask your teacher/instructor to buy a course package and distribute the upgrades to the student projects (which should include yours). If it is just for a short project or a small course, they might as well want to get a “personal” subscription, which can also be used to upgrade your student project! Alternatively, if you’re a student in a course, ask your instructor to enable the “Students pay” option in course settings, which makes available a special one-time $14 fee for a four month subscription to you. In both cases, we are available to talk to the teacher/instructor directly and explain CoCalcs course functionality. Contact us at help@sagemath.com in order to establish the contact. For more details, read the Upgrading student projects section in the teaching guide. If one of your colleagues/friends has upgrades to share, add her/him to your the project as a collaborator. The can apply their upgrades to your project! All users of the project benefit fully of the upgrade applied by one collaborator. You may continue using your project for free, despite the warning message. However, please keep in mind that (1) you can’t pull in external data from the internet to the project, (2) the project will get randomly restarted and runs on servers with lower hosting quality, and (3) CoCalc itself really needs your support in order to survive. The Purpose of CoCalc is to make it easy to use SageMath (and other open-source software like Python, R, Octave, Julia, LaTeX, etc. ), collaboratively and to generate a stable revenue source to hire full-time developers to develop CoCalc and ultimately SageMath. Subscription revenue is currently enough to pay for server infrastructure but not enough to cover employee costs. This means the company behind CoCalc will eventually no longer be able to operate the service. See http://wstein.org/talks/2016-06-sage-bp/bp.pdf for more info about the challenges of funding SageMath development. A couple of users abused CoCalc to attack other servers on the internet. That triggered a complete shutdown of the CoCalc website by our hosting service provider. To avoid that from happening again, we had to disable outgoing connections to the internet. With such an “internet upgrade”, you can again download files from other servers, install software packages that load from other servers, use git in a Linux Terminal to work with GitHub, etc. Subscribers get higher priority on feature-requests and much more involved support responses. The free servers are of lower hosting quality, sometimes overloaded and periodically restarted. They are cheap Google preemptible instances. A side effect of the cheapness is that the underlying server of your trial project is randomly restarted at least once every 24 hours. You can share your upgrades with friends, co-workers and family. When you get a paid subscription, or donate, you help fund the free-tier offering for those who can’t afford a subscription. We all know of some countries (and plenty of individuals in every country) that are going through extremely difficult financial times. A long-term goal is to generate enough revenue to fund development of SageMath. However, that goal is far away. Read about directly funding SageMath.